Hot Pepper Wax natural animal repellent traces its beginning to an outbreak of spider mites in a commercial greenhouse in 1989. An amazed researcher noted that the tiny bugs had damaged all the plants, except for a few fresh cuttings treated with an experimental coating wax. And those plants were untouched! 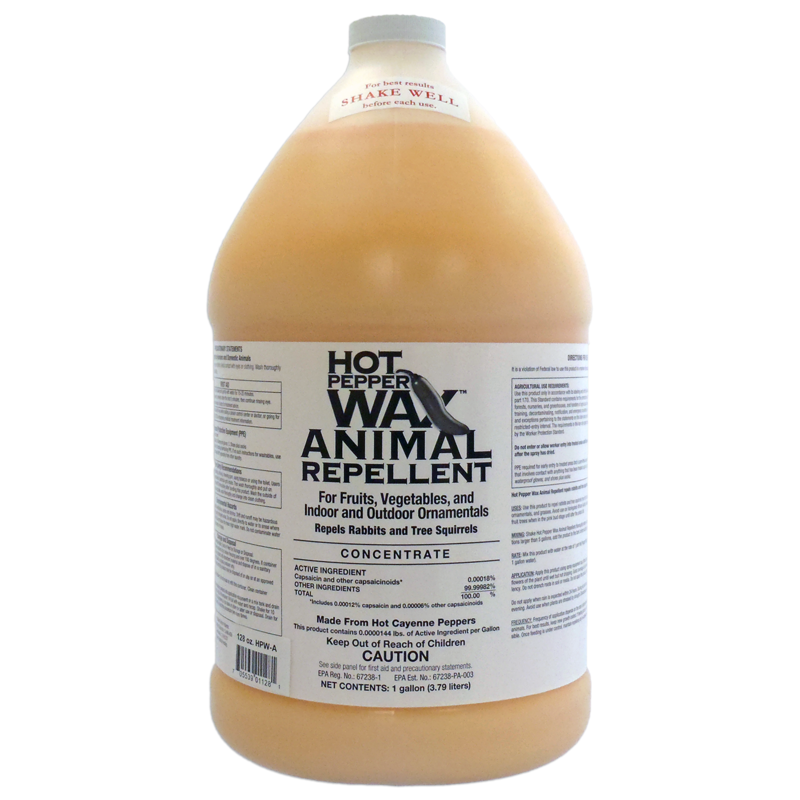 Pretty soon, Hot Pepper Wax customers made a discovery of their own: Hot Pepper Wax is not just a good natural insect repellent, it's a GREAT rabbit and squirrel repellent, too. Responding to this newfound demand, Hot Pepper Wax began the application and testing process required for EPA registration. 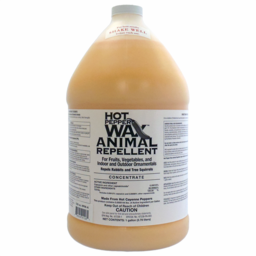 Hot Pepper Wax natural animal repellent is now available alongside HPW Insect Repellent.